Lamborghini have introduced Urus, a car with the soul of a super sports car yet possesses the functionalities of an SUV. Rybrook Lamborghini Bristol will be delighted to look after you from your initial enquiry through to vehicle delivery, as well as keeping your vehicle at it’s best with our dedicated aftersales team. The Urus has received a number of glowing reviews since its introduction to the market, with Top Gear describing the car as an “engineering achievement to be applauded”. The Urus stays true to Lamborghini DNA, taking cues from the LM002 and super sports cars from the marques heritage. It is instantly recognisable as a Lamborghini with its outstanding proportions which adopt the classic two-thirds body, one-third window ratio and adorns a low, coupe roofline, signifying sporting heritage and capabilities of the car. 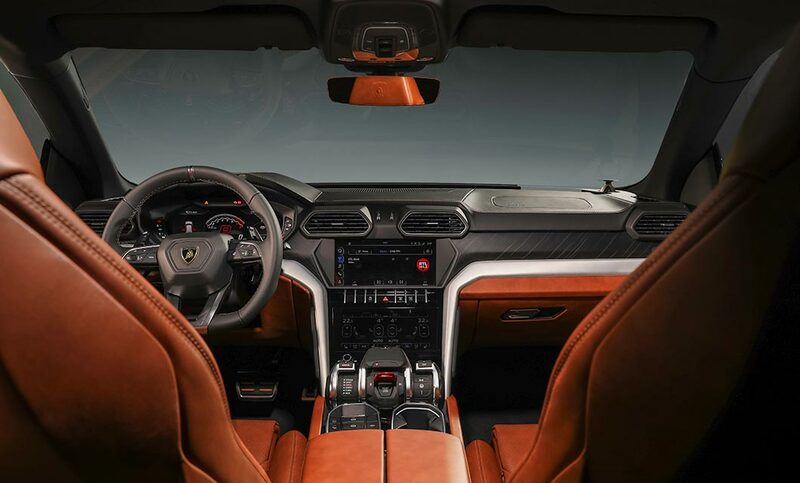 Move through to the interior and the Urus has been designed to be as much luxurious as it is sporting. Full of new technologies and exquisite materials. 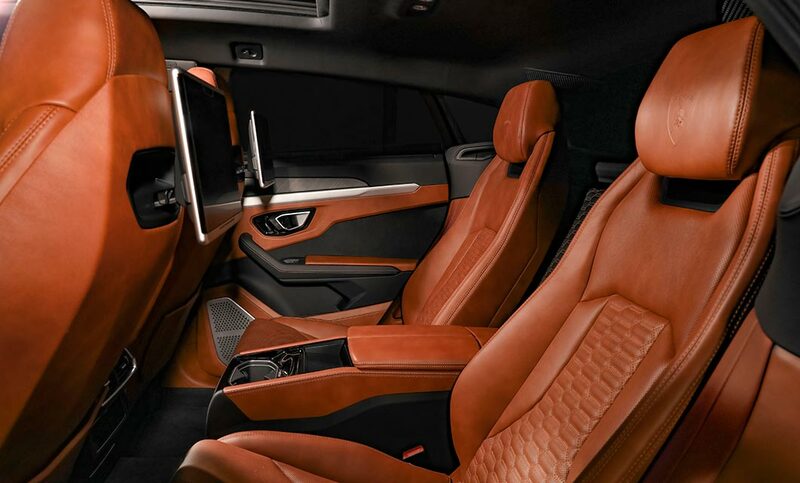 Italian style and craftsmanship ooze throughout the cabin by the use of fine leather, alcantara, aluminum, carbon fiber and wood. The first car in the Lamborghini line up to feature a V8 twin-turbo engine, capable of achieving speeds of 189mph. Accelerating from 0-60mph can be reached in 3.6 seconds. Urus attains the best weight-to-power ratio in the entire SUV segment, mainly thanks to its best-in-class driving dynamics with a unique, outstanding and completely adaptable package: 4-wheel-steering, 4-wheel-drive system with active rear torque vectoring, adaptive air suspension with active dampers, a roll stabilization system with continuous and immediate response, carbon ceramic brakes and rims up to 23" with mixed tires. Let us help you to specify an Urus bespoke to you, to fit into your many lifestyles. A choice of 12 paint colours and 2 styling packages to create an exterior to suit your exact taste. Wheels ranging from the functional 21” Alcione to the statement Taigete 23”, which can be teamed with a choice of 6 brake caliper colours. Internally the Urus has an array of colour and trim options available to you. 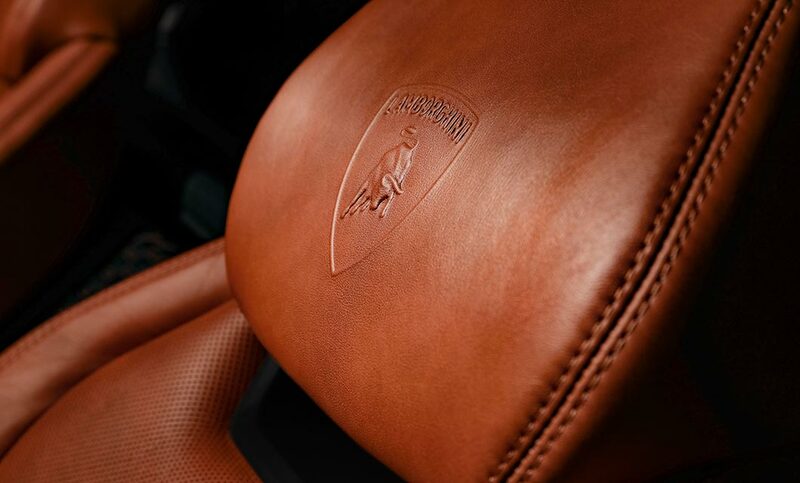 For the seats, choose from single or dual-tone leather or alcantara. Stitching options and complementary seat belt, floor mat and carpet colors allow you to customise your Urus in a sporty or elegant style, as required. The dashboard trim is finished in Piano Black and Brushed Aluminum as standard, or select Open Pore wood as an option. Below are the technical specifications for the New Urus. Interested in a New Urus?